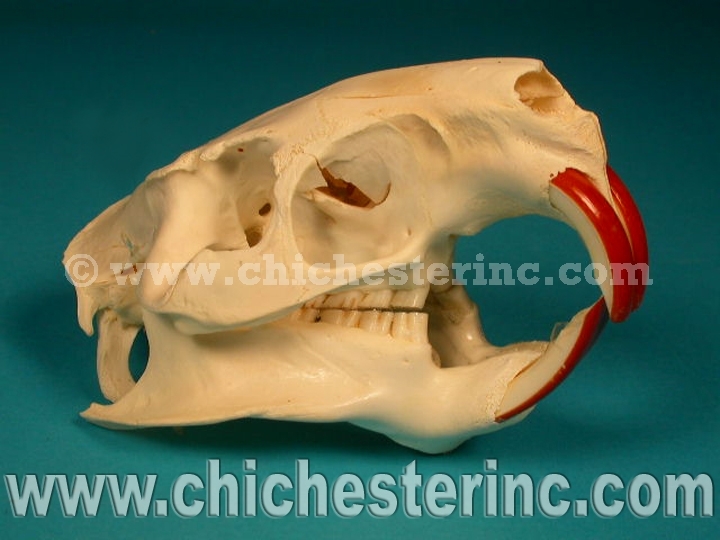 We usually have a limited number of nutria skulls for sale at any time. 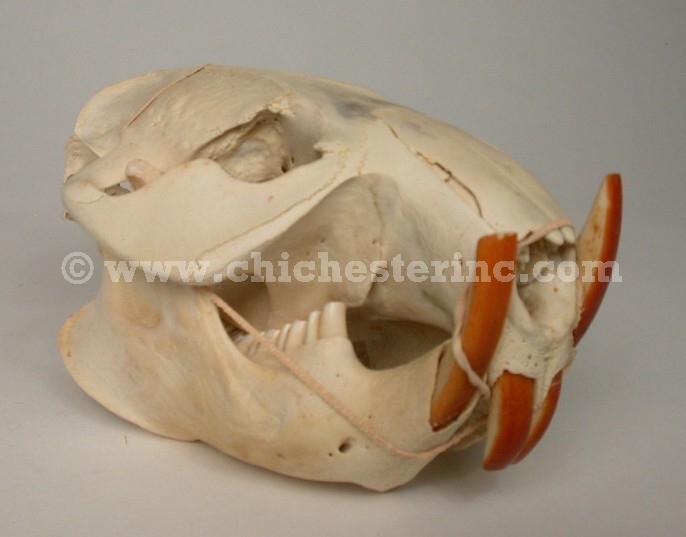 The size averages 5.5" (14 cm) long, 3" (7.5 cm) wide, and 3.5" (9 cm) tall. Nutria are not an endangered species and are not subject to CITES controls.